came to the conclusion that Holesovice offers the best food for the lowest price tag in Prague. In the beginning and when having visitors here first we accidentally stumbled on a few tourist traps in the touristy areas. Too many experiences with bad quality meat, greasy sauces. 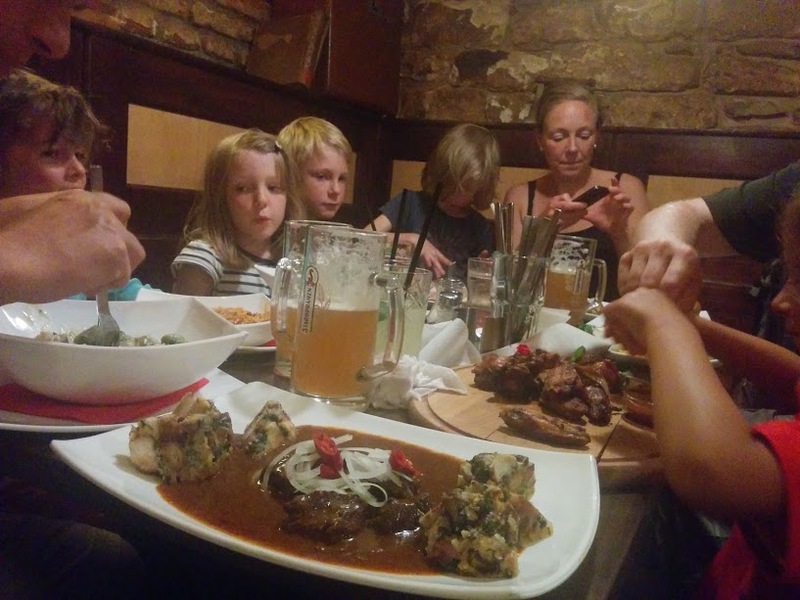 under or over cooked food at high prices and served by unenthusiastic staff has forever put us off trying out those types of restaurants again in the beautiful, central areas of Prague. 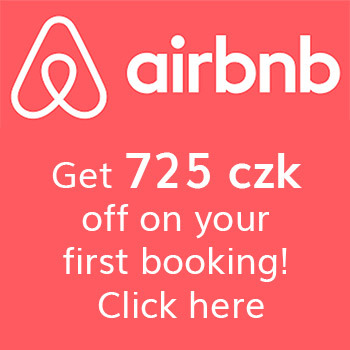 There are a few places of course in central prague that are good, but they also come with the more expensive price tag. Having a family with several meals to pay for each time we go out the more upmarket places are not an option, but we do LOVE good food! Eating out delicious meals a nice summer evening or going out when we are simply to lazy to cook are things we do quite often. 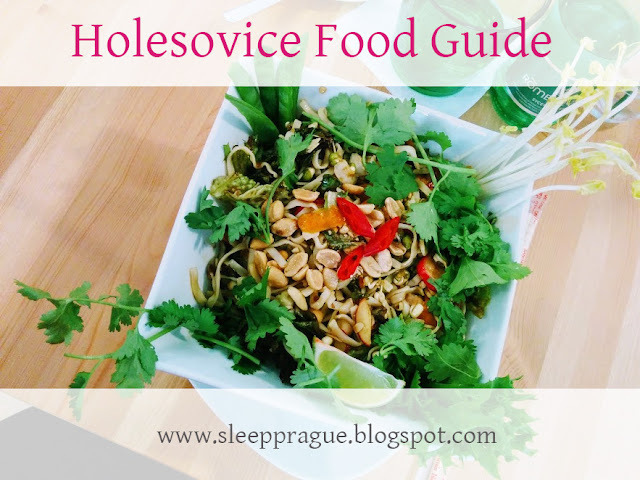 So we have since we moved to Holesovice looked at the options here and found out that there is an amazing array of restaurants and cafés that serves excellent food at local prices that many visitors just dont hear about. There are so many places in just Holesovice that we havent ploughed through most of them - even after staying here for soon 6 months. Nearly all of these places are within walking distance from our two family flats that we rent out, and some offers takeaways and deliveries. This is one of our favourite restaurants. The cellar is cosy but they also have tables outside. They serve the best goulash in town! The children likes the chicken wings and burgers. They have unfilthered Staropramen beer which is so much better than regular beer. This is little cafe is on the corner of the Komunardo road where there are plenty of restaurants. Its a quiet place that serves cheap good breakfasts and nice lemonades. Its great to work from, internet is good and they have enough power plugs. A mexican restaurant on a busy road. 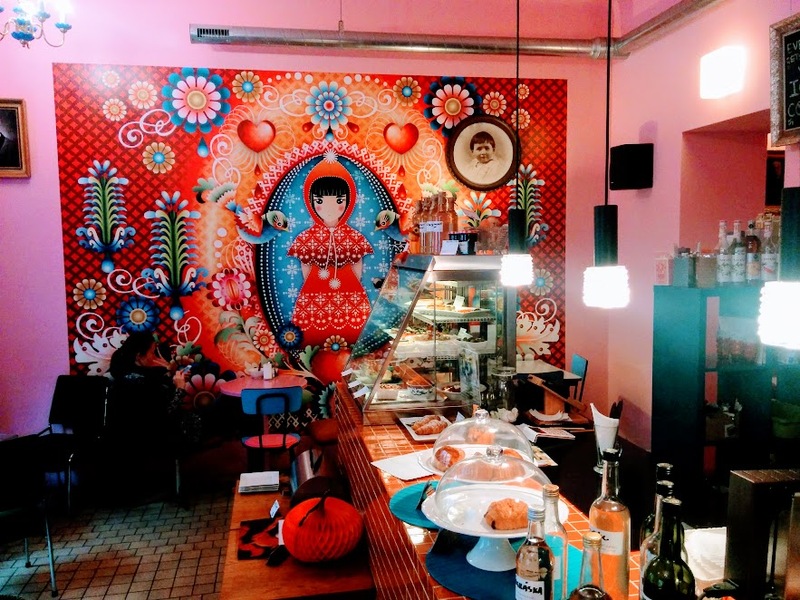 It is one of our childrens favourite and its a nice place that actually have good mexican food and also some czech options. The nachos are the best according to the kids. This is a new place serving super healthy smoothies, soups, salads and other things. Great when you need extra vitamins. Its near BILLA on the map. This is a little chinese takeaway place that we use quite often. Some of the stir fries are average but the sushi is good, and its an easy and cheap place that the kids usually asks to go to. It is on Komunardu street. This brewery restuarant has a nice pateo and outdoor play ground. The staff is a little rude sometimes but the food, beer and the outdoor pateo are lovely. Its a perfect place to go with a group of friends. The steak is just the best. The children likes the chicken wings and chicken snitzel. An italian restaurant and delicatessen that has cooking classes too. Its a little more pricey but not the lunch deals. This is not a restaurant, but i thought it needed to be mentioned because its a very good beer gallery that my husband really likes. Apparently there is a room for beer tasting. My husband has bought very nice and unusual types of beer here. The owner is very chatty (in english). This is a nice café / breakfast / lunch place which is located on Komunardu street. They have nice teas and lemonades. They have cheap and tasty lunch offers and very good bread. I guess this restaurant has the same owner as above. It has the same style and decor. Our children loves the english breakfast they serve. The lunch is very good too - sort of like they are doing a czech take on posh english food. They have some Gordon Ramsay cook books in czech. This is where the hipsters of Holesovice goes. An almost hidden cellar restaurant if it was for the big beer sign. This is a place that serves very cheap czech food that is actually good. The lunch costs about 80-100 czech korunna only which makes it one of the cheapest places we know. Its near the U Pruhonu tram stop. This is quite a big czech pub that is really close to one of our family rental flats. Its a place that has good lunch offers and is popular with workers. A small chinese restaurant that is also close to one of our family rental flats. It is a cheap place that is serving mainly stirfries that is ok. This is one of our favourite cafés in Prague. 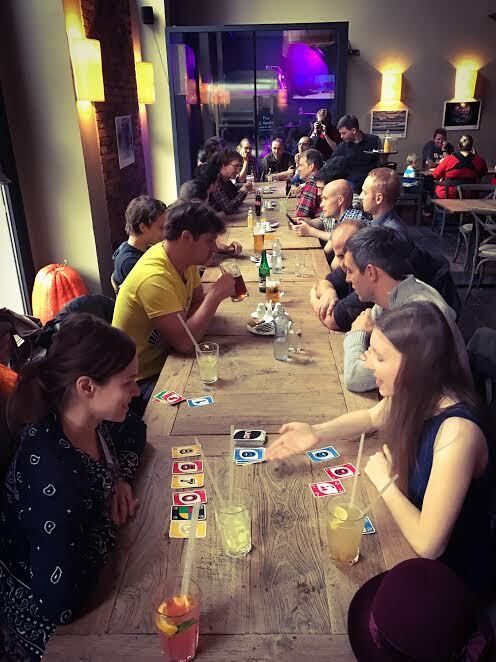 Its unique and only one of its kind so far as it is bitcoin-only. If you are new to bitcoin, the staff is happy to inform and help you change in their ATM. Mostly we like it because of the creativity that is oozing from here. The coffee and tea is good. Unfortunately they dont have hot food there, but some cakes and sandwiches. Its a great place to work from and its kid friendly also. This is an asian restaurant that serves vietnamese, sushi and some chinese and thai food. Its a great little find since last week. We ate there 3 days in a row because the kids liked the teriyaki chicken so much. The vietnamese food is excellent. Its so cheap its almost not worth cooking your own meal when you can go to a place like this sometimes. Its on Delnicka, close to one of our family flats for rent. Located just by the marina with a large outdoor seating area this is a pretty good place for a hot summer evening. Its a brewery with huge beer tanks inside. Its quite noisy and not really kid friendly but still a place worth mentioning. This vietnamese eatery is located the market. 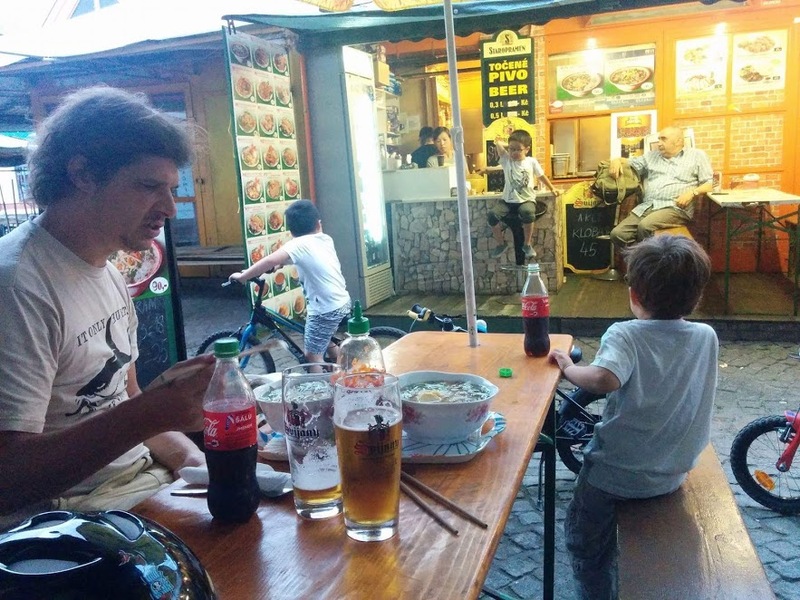 It serves the best Pho soup in Prague and very good vietnamese food at low prices. They have outdoor seating mainly so its good for a sunny day. This place serves vegetarian indian food at low prices. I had a Masala Dosa, first time outside of India, and it was surprisingly good. This is a mexican chain restaurant that serves kid-friendly meals like tacos and nachos. The salad is good. Here you can find very good pizzas and pastas in a nice setting. A baguette chain that has a kid-friendly environment. 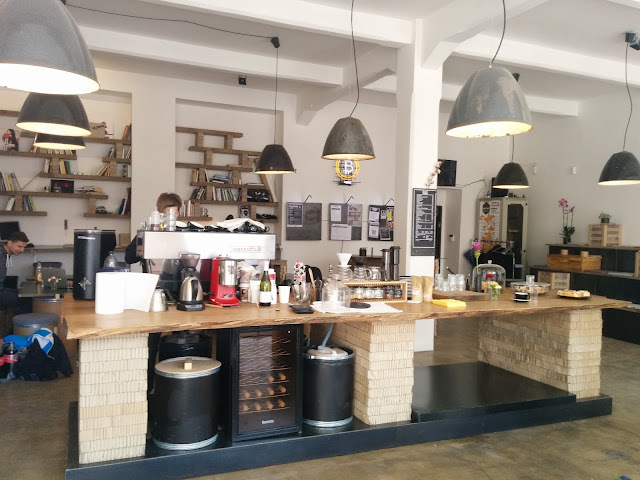 This is a cool cafe near Kamenicka tram stop that has swings that you can swing on. They offer delivery which is what we have tried and have been delicious. Generous portions. A small french cafe that also has a garden on the back. We love the decor and the breakfasts here. Staff are very nice.